When will be Walk the Prank next episode air date? Is Walk the Prank renewed or cancelled? Where to countdown Walk the Prank air dates? Is Walk the Prank worth watching? The Walk the Prank scripted storylines center on the four kids' antics in school and at home, which provide a source of inspiration for their pranks. The real and outlandish hidden-camera pranks, seen throughout each episode, capture genuine reactions from unsuspecting strangers. The series showcases the natural comedic talent of new young stars including Cody Veith, Bryce Gheisar, Jillian Shea Spaeder, Brandon Severs and Tobie Windham. The gang seeks to prove their innocence when they're accused of breaking the school trophy case. 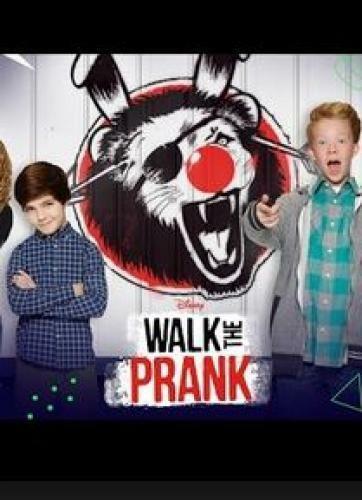 Walk the Prank next episode air date provides TVMaze for you. EpisoDate.com is your TV show guide to Countdown Walk the Prank Episode Air Dates and to stay in touch with Walk the Prank next episode Air Date and your others favorite TV Shows. Add the shows you like to a "Watchlist" and let the site take it from there.